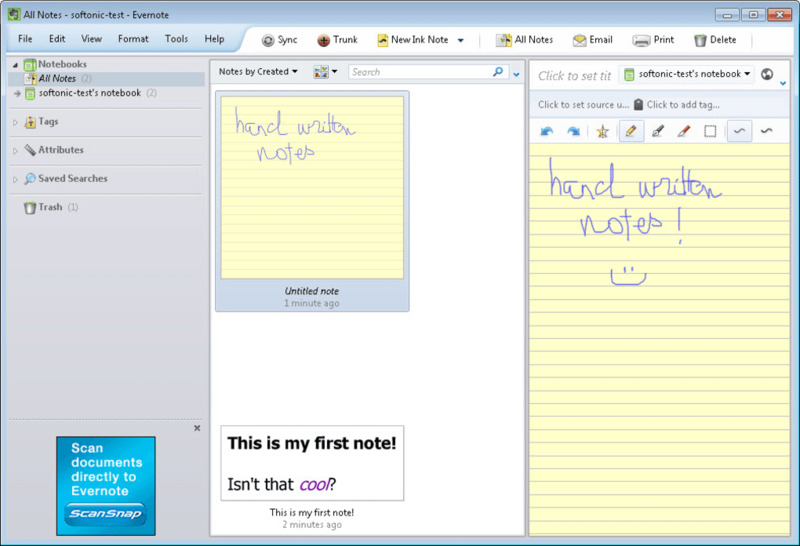 Add notes, images, passwords, etc. EverNote is an application that works together with an online service to let you capture, store and sync anything on multiple devices. 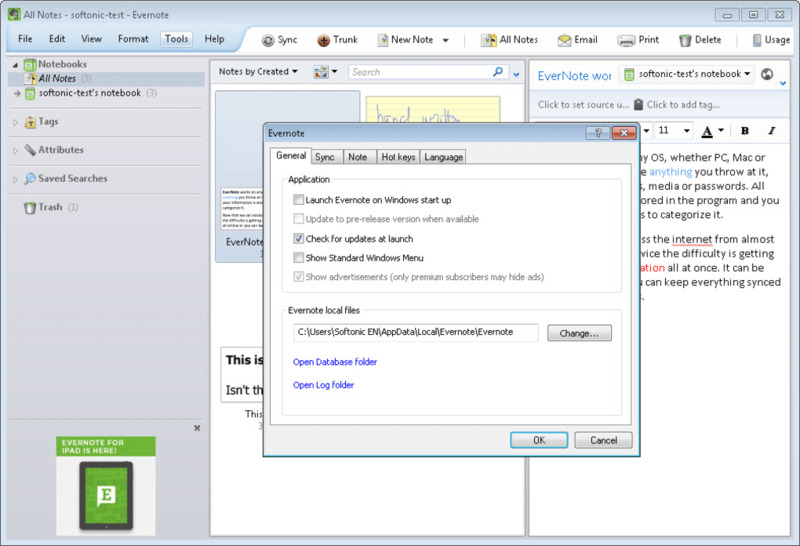 The EverNote utility features versions for many different operating systems: Windows, Mac, iOS, Android, Windows Mobile, WebOS and more. It lets you capture and sync anything you throw at it, from notes to images, media or passwords. All your information is stored in the program and you can organize it in so called “notebooks”, as well as using tags to categorize. Using EverNote is really simple. The program displays tips for the most important functions and is also thoroughly documented. The pleasant interface in EverNote, with a clean, eye-catching design, makes it even easier to use. 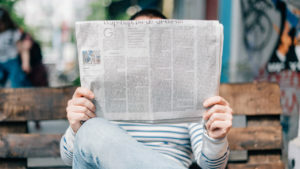 Now that we can access the internet from anywhere and on multiple devices, having a synced copy of all your information available at all times is crucial. 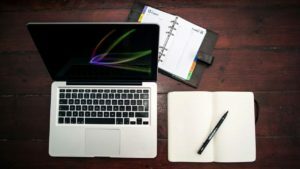 If you have EverNote installed on all your devices – desktop computer, laptop, mobile phone - all it takes is an internet connection and a press of the Synchronize button from the menu to ensure that you have the same information stored on all of them. 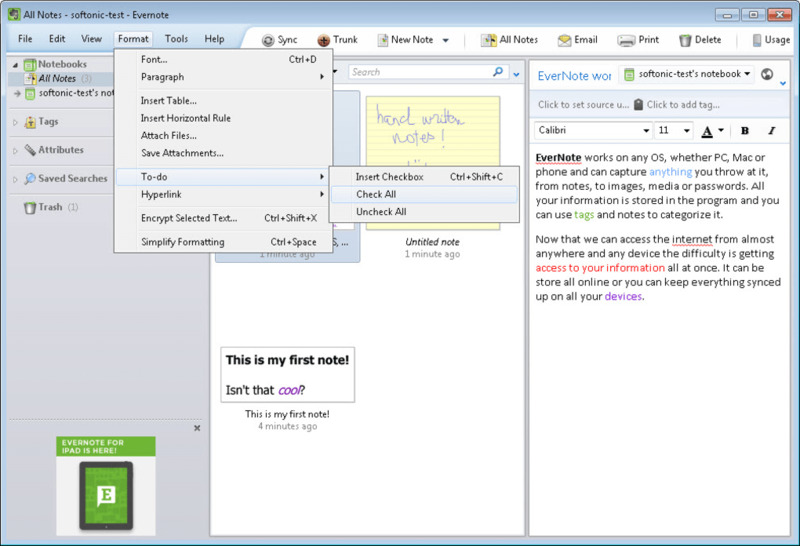 EverNote is a very promising application that captures, stores and syncs any sort of information on all your devices. Was Good, Now Buggy. Used to really like (and appreciate) Evernote, but their software has become so full of bogs. 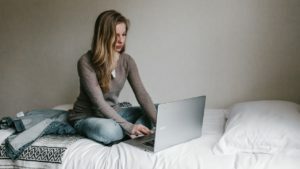 The Windows version constantly stops responding during searches (when you have a LOT of notes), and they never seem willing or able to fix it. These guys started with a FANTASTIC idea, but their development team really dropped the ball. Horrible software quality control lately. The Windows version constantly hangs, and stops responding during searches, the Android version constantly syncs (and uses battery) despite being set not to. a must have for no compromised professionals. 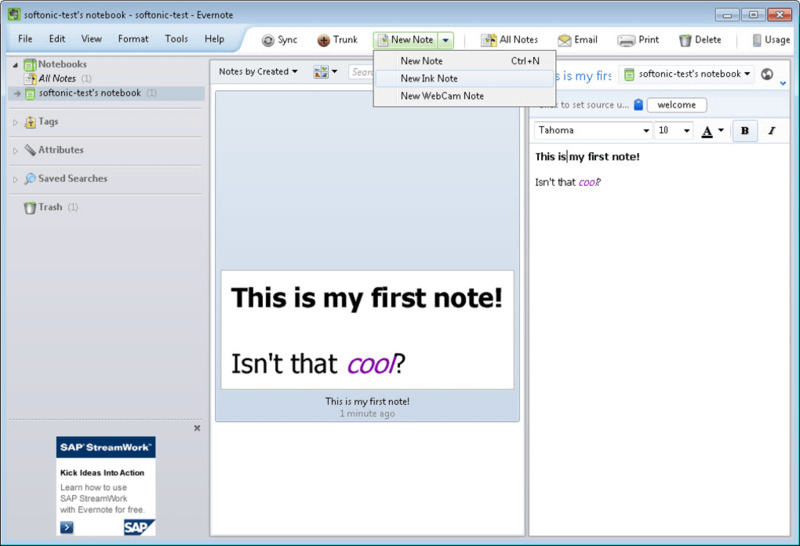 Functional and useful, Evernote goes beyond its architecture and is also interesting. It's a true three-platform play: it works very well, and somewhat differently, on desktop computers, mobile phones, and over the Web. Evernote is a good note-taking application. If you have the Evernote application running on your camera phone, it will automatically upload your snapshots to the Evernote server, creating a useful archive of them. But the killer feature is that it also does OCR on your images so you can find them later by searching for text in them. Use this tool to snap pictures of products you see in stores and want to remember, to grab whiteboards in meetings, and to take pictures of people with name tags at conferences. It's one of those utilities that might just change your life. just install & put "anything" to remember, it will do rest things for you. Best tool ever used to organize life and business, a MUST have.. This program is able to organize almost all aspects of my life. It has become a critical part of running my business too. 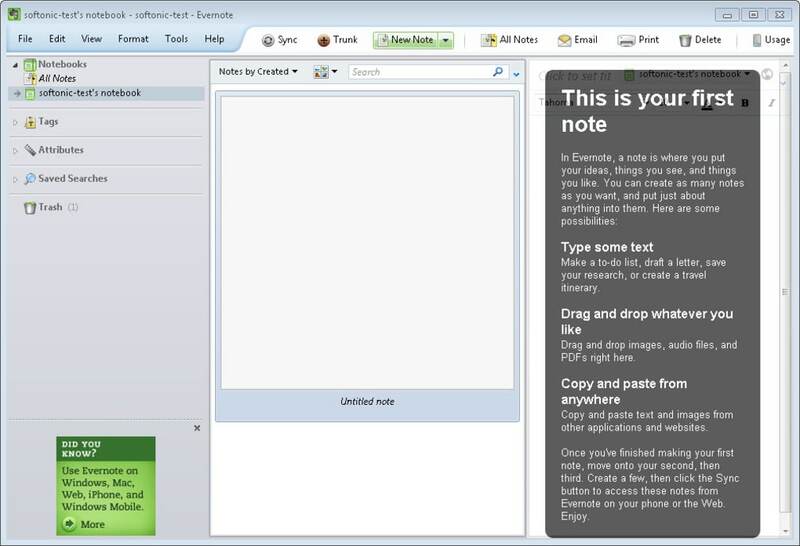 Evernote allows users to store notes, receipts, photos, webpages, which can then be accessed remotely. I have not found any negatives so far. I especially like the Evernote Web Clipper plug in which can be downloaded to instantly copy the web page you are looking at into Evernote. No more leaving multiple webpages open so that I can go back to them later. I also use Evernote on my phone (iphone and android apps are available) to 'snapshot' photos, for example of business cards, directly into Evernote, where I can sort them into my Contacts folder. I am able to eliminate huge amounts of paper and keep backup records of most things. On a personal note, I capture recipes on the web which I like into Evernote, then can access them from the supermarket so I know what I need to buy. One of the best finds ever! Organises your life and allows you to access your data on the go from iphone or android. Best Notepad Sync. Anyone who wishes to write something down and needs to keep it for later, this is the best you can get. 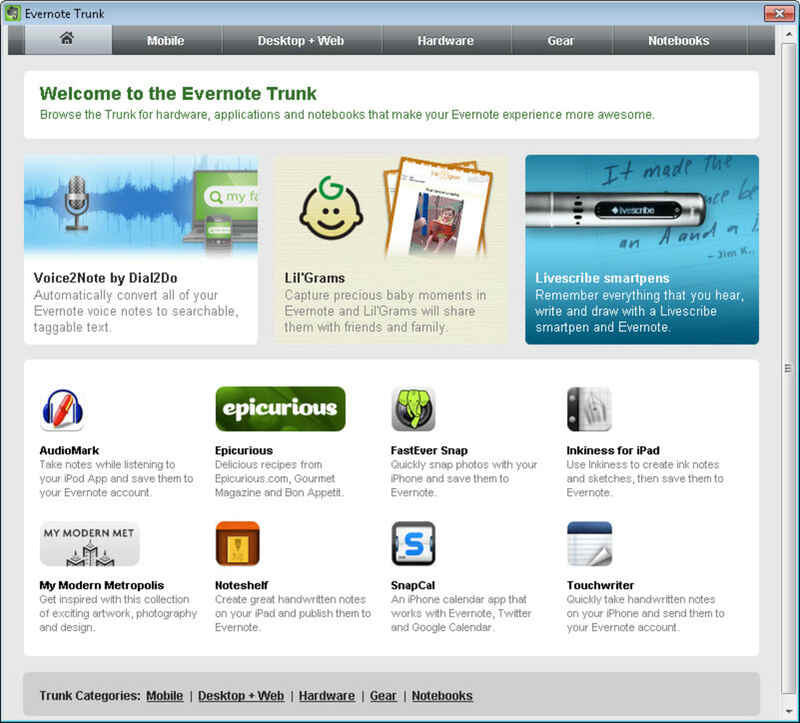 It also allows you to access everything on other devices and Operating Systems you have Evernote stored on. Very good for those who have a list of things to get or things to do. 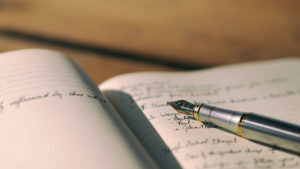 Write the list on your computer and save it to Evernote, then you can carry your list around on your mobile device without worrying about losing your list. Allows You To Take Your Lists Everywhere. 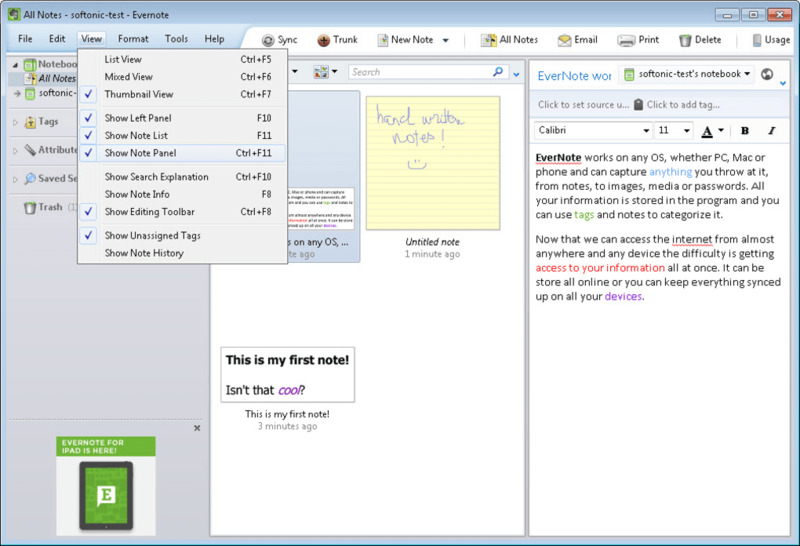 What do you think about EverNote? Do you recommend it? Why?